People who are intensely curious often end up pursuing science or art as a career. Science and art are different ways of learning about, and describing, nature. SCIENCE is a formal search for knowledge. Scientists explore, observe, and consider every aspect of the Universe, from the smallest subatomic particles to the largest galactic clusters, from the simplest object, such as a star, to the most complex, such as a human brain. Scientists examine almost every corner of the universe, including universal forces, mechanics, electronics, chemistry, all living creatures from microbes to whales, the human body, human behavior, as well as the darkest caves, the deepest oceans, the highest mountains, the coldest and warmest climates, other planets, stars and galaxies. and to reflect on subjects of space, time, and the Cosmos. ART, like science, is another way of exploring the world, of examining its forms, structures, and ideas. Art is representational. Through the use of symbols, such as visual shapes and colors, musical tones, words, and body movements, art represents, or points to, those things that we care most about. These cares and concerns include fears, longings, the search for meaning, love, morality, politics, religion, intrigue, the wonder of nature, and ourselves. Anyone can be a thoughtful observer, but to be an artist means to be vulnerable, to be aware of your own feelings, to take risks, to ask questions, to search out the uncommon. Artists make things using images, objects, sounds, movements, and words. Artists also make us think. They conjecture, model, and describe the world. Artists often combine different media to represent their ideas. Consider music. In hip-hop music, spoken word, beat music, lighting, imagery, and dance are woven together to create a powerful sensory experience. Musical theatre such as opera combines theatre, dramatic music, singing, and ballet to address universal problems and embrace the human spirit. Song writing involves words and music. Much of the music from around the world incorporates instrumental sounds with traditional singing and dancing. There are many examples. Art helps people experience things in different ways. The best art changes the way each of us experiences the world. Art raises social and cultural awareness, makes the invisible visible, connects the improbable, breaks down artifice and presumption. Art acts as a continuous feedback loop, constantly monitoring, evaluating and modifying cultural activity. Art helps individuals and societies to discover shared hopes, to cope with fears, and to negotiate difficult changes going on around us, and within us. Art also makes predictions about the future. It is an outdated notion to think that artists have to live in the dark as mainly right-brained, intuitive, visceral creatures. In today’s world, it is unnecessary to be a single-minded, one-dimensional artist, locked away in a studio. Increasingly we see artists who are emotionally intelligent, physically healthy, and intellectually vibrant. In today’s constantly changing world, artists need all of their resources to compete against the entertainment-driven, anti-intellectual, and deeply conflicted world culture. One of the interesting, and often difficult, problems facing artists today is the realization that there are many different ways of representing the world, many different ideas, different styles and genres all clamoring to be recognized. It is not unusual today for a roomful of artists to have little in common with one another, artistically. With the Internet providing widespread and immediate access to information on a global scale, it is increasingly more difficult to find one’s unique, creative voice. One of the ways that artists and scientists confront change is to ask questions. At the center of most successful artworks and scientific research is a simple question, something the artist or scientist is attempting to understand or explore. Art and science share the goal of identifying, and identifying with, nature, including a predictable fascination with human emotion, thought and behavior. 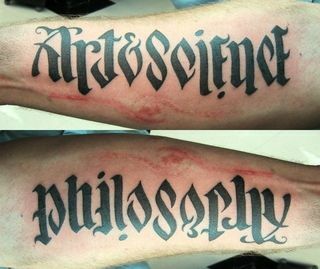 Both science and art aspire to truth without compromise. Both challenge the way we see the world as individuals and community. Artists have always been interested in big ideas. Big ideas have emerged from a variety of disciplines at different times and places throughout history. The best art changes the way we see the world, and it is often big ideas that drive that change. Today many big ideas are associated with science and nature, and are continually attracting the interest of artists. 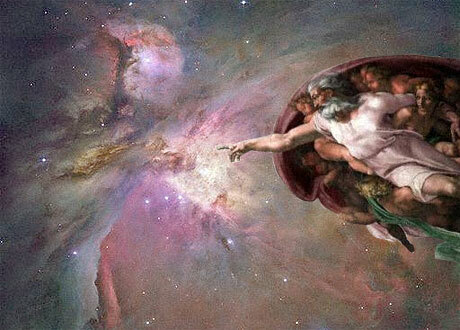 Centuries ago, science and art were not separated like they are today. 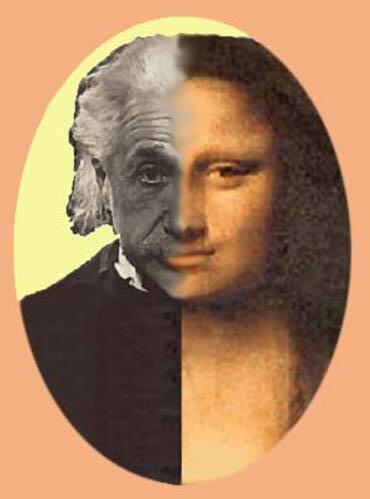 An artist and a scientist were more often than not the same person. 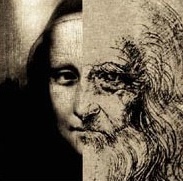 Today, science and art are more specialized, more divided. But there is a new interest in closing that gap. Scientists are beginning to make art that is related to their work (astronomer Carl Sagan and biologist E. O. Wilson have written novels, for example), while, at the same time, artists are incorporating scientific concepts into their art. Both are beginning to think like one another, as it used to be in the days of Leonardo, Benjamin Franklin, and Henry David Thoreau. When we stare up at the sky on a clear night, or scan across the panorama of an ocean at sunset, we are able to experience the awe, the grandeur, the majestic nobility of the universe. It awakens in us our deepest feelings and thoughts. It connects us to a greater unity that is larger than ourselves. Likewise, when we visit a museum, read a great book, or listen to a magnificent piece of music, we experience this same pleasure and awe that connects us to all things. It is common for some to think that we may lose part of the spirit or wonder of an experience of this kind when we study it, when we examine it too closely. In reality, the more we understand the nature of something, the more it heightens our appreciation of it. Today, and in the future, we will require the collective voice of the science and art community, world around, to help mediate the exciting and frightening challenges that loom ahead. The best of who we are is represented in our art and science. And it is our curiosity – the questions that we ask – that leads us to the kind of creativity that makes a difference. Art and science awakens and keeps alive in us the sublime order and elegance of Nature. The experiences resonate with us, because we too are Nature. The most significant question in art and science today may be: how can our species move from an historically psychology/philosophy-based identity to one that incorporates foundations of evolutionary biology and modern cosmology? Twenty-first century science, especially new discoveries in evolution, genetics, neuroscience, chemistry, and physics is changing the way we see our selves and our societies. And it is causing us to think differently. To establish this new vision of nature-dependent values, it will require artists, journalists, and others, working closely together with scientists, to lead the way.